My name is Hank Shaw. I write. I fish. I dig earth, forage, raise plants, live for food and kill wild animals. I’ll drink fancy Scotch, craft beer, Pabst Blue Ribbon, a fine Barolo or a Bud, depending on my mood or who’s offering. I spend my days thinking about new ways to cook and eat anything that walks, flies, swims, crawls, skitters, jumps – or grows. I am the omnivore who has solved his dilemma. This is my story. Honest food is what I’m after. Nothing packaged, nothing in a box, nothing wrapped in plastic — unless I wrapped it in plastic myself. I eat meat, but I loathe industrial farming. So I’ve not bought meat or fish for our home more than a handful of times since 2005. If that makes me a meat hunter, so be it. I am also a constant forager, angler, gardener and fan of farmer’s markets. Eating locally and making good food from scratch is what I do. Seasonality rules my diet: If you catch me buying asparagus from Chile, you have my permission to slap me. I am especially interested in those meats and veggies that people don’t eat much any more, like pigeons or shad or cardoons. I have nothing against good grass-fed beef or a head of lettuce, it’s just that others are doing just fine writing about those foods. I’m trying to walk a less-traveled path. I am a former restaurant cook, I’ve caught fish and dug clams for a living and, after 19 years as a political reporter for newspapers ranging from New York to Virginia to Wisconsin, Minnesota and California, I now pay the bills writing about food, fishing, foraging and hunting. I’ve written three cookbooks, and have more on the way. On occasion, I lead foraging classes and cater events around Northern California and beyond. As a food writer, my work has been published in Food & Wine, Petersen’s Hunting, Garden & Gun, Organic Gardening, The Art of Eating, Field and Stream, Sactown, Pheasants Forever magazine, Delta Waterfowl Magazine and several other publications. I was written up in the March 2009 issue of Field & Stream magazine for my wild game cookery, which was an honor. My latest book, Pheasant, Quail, Cottontail: Upland Birds and Small Game from Field to Feast, was released in March 2018. It covers all the upland birds, doves, pigeons and all the small mammals we normally hunt in North America. It will be available wherever books are sold in the US, Canada, UK, Australia and New Zealand. 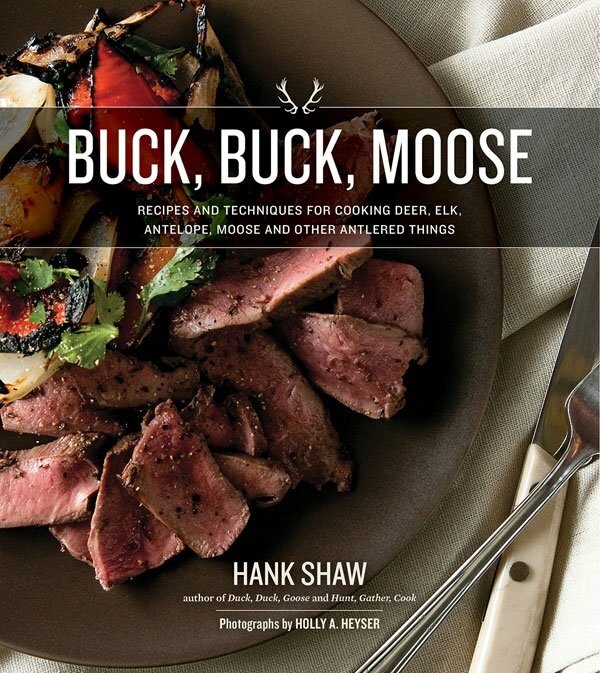 Buck, Buck, Moose: Recipes and Techniques for Cooking Deer, Elk, Moose, Antelope and Other Antlered Things, published in September 2016. It is the most comprehensive, lushly photographed book on cooking all sorts of deer and deer-like things ever produced. I hope it opens up whole new worlds for those who hunt deer, elk, moose, antelope and caribou. My first book, Hunt, Gather, Cook: Finding the Forgotten Feast, was released in 2011 by Rodale Books. My hope is that the book will help open the world of foraging, hunting and fishing to those interested in food, but who may have never hunted mushrooms or picked up a gun or cast a rod and reel before. It is also my hope that hunters who want to expand their skills to foraging, or anglers who want to hunt, or foragers who want to fish, will find value in this book. My second book, Duck, Duck, Goose: Recipes and Techniques for Ducks and Geese, both Wild and Domesticated, was released by Ten Speed Press in October 2013. This book I hope will be useful both to waterfowl hunters and home cooks alike. I tried to include everything you’d want to know about cooking ducks and geese, and the recipes work just as well for store-bought birds as wild ones. 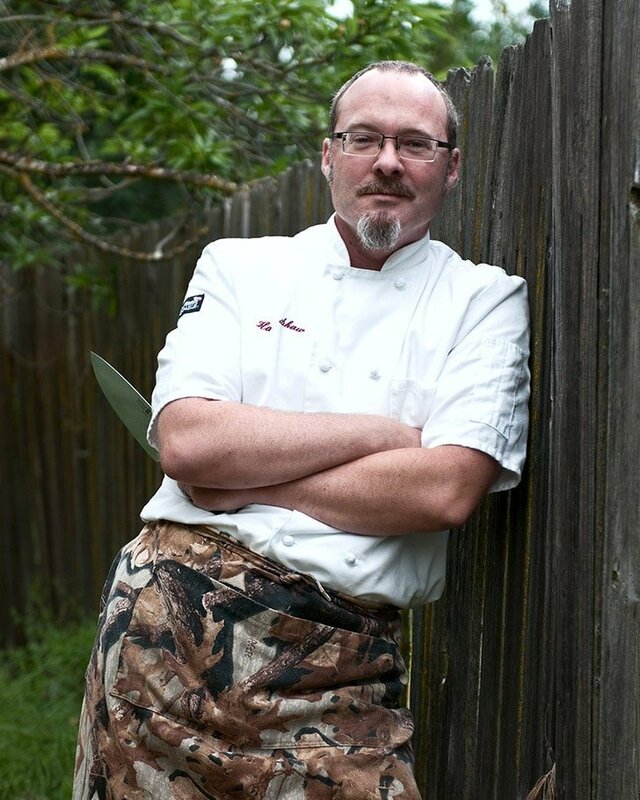 Hunter Angler Gardener Cook won Best Food Blog by the James Beard Foundation in 2013, and was nominated for the award, which is considered the “Oscars of the Food World,” in 2009 and 2010. I was honored to win a Bert Greene Award from the International Association of Culinary Professionals for Best Food Blog in both 2010 and 2011. In addition, a story I contributed to for Field & Stream was nominated for an American Society of Magazine Editors award in 2010, and my foraging column in Sactown magazine won a national award by the society for city and regional magazines in 2014. I’ve also been featured twice in the book Best Food Writing by Da Capo Press. An essay I wrote on this site, “On Killing,” was included in Best Food Writing 2012, and another piece from Hunter Angler Gardener Cook, “An Awful Mercy,” was included in Best Food Writing 2013. My books Duck, Duck, Goose and Buck, Buck, Moose each won Excellence in Craft awards from the Outdoor Writers Association of America in 2013 and 2017, respectively. I sometimes teach classes on foraging, butchery, and on narrower topics such as cooking fish and seafood to wild game and sausage-making. I’ve taught large, seminar-style classes for 100, down to private, one-on-one instruction. Cost depends on time, location and size of the class. Email me at the contact below for details. While I do take some of the pictures on this site, the vast majority (and all of the really good ones!) of the images you see here are taken by my partner, Holly A. Heyser. 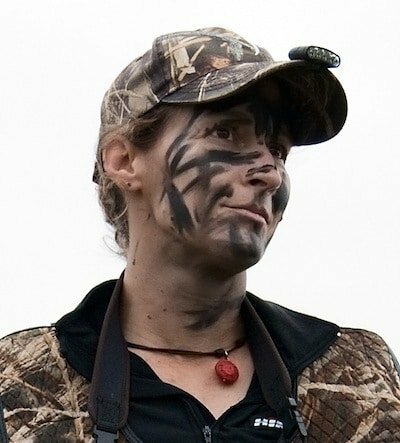 Holly is a hunting writer, now editor of the California Waterfowl Association’s magazine. She’s also a professional food photographer and until recently was the professional journalist in residence at her alma mater, California State University Sacramento. You can find her photography at HeyserPhoto.com. Contact Holly at heyserphoto AT gmail DOT com.